The Middle Grades Education Program is ideal for students who are eager to work with growing minds and daily changes. When teaching middle grades students, who are discovering who they are and what they want to do with their lives, there is rarely a dull moment in the classroom. The program prepares highly qualified teachers of for grades 4-8 in the areas of English, Language Arts, Reading; Mathematics; Science; or Social Studies. Graduates earn a BSEd and prepare for middle grades certification in their specific subject area. The program can be completed during the standard four-year collegiate experience. Field experiences begin the first semester and are layered with progressively more complex situations, so that preservice teacher candidates have sustained opportunities to deepen and expand their knowledge for the subject and effective teaching practices. Experiences at a variety of schools and grade levels will prepare the middle grades candidate for success. 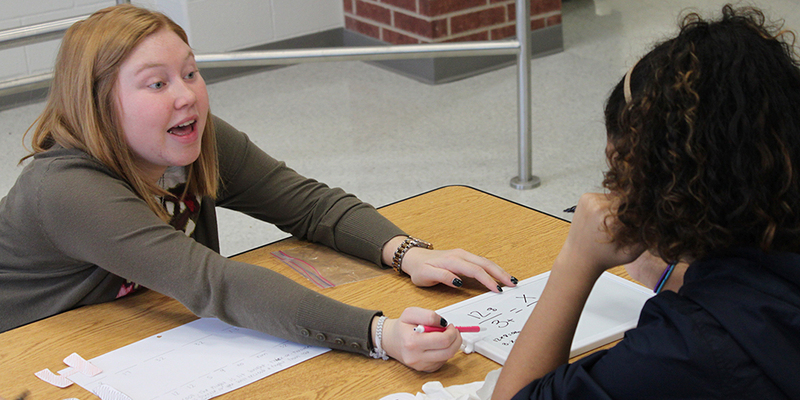 Field experiences culminate in a yearlong teaching internship that makes Baylor graduate uniquely qualified to assume a position of leadership in teaching. Because of the rigor of the middle grades program, graduates are in high demand. They are highly recruited by top school districts, and they make an immediate impact on the campuses.